Here’s a long one for you. It’s sort of a broad look at Delta under Ed Bastian today, but it jumps around from Ed’s early life to the airline’s lagging market cap and everything in between. Is it just me, or does this seem to happen more than it should at Southwest? That DL story is long, but the business analysis is a bit weak. Frankly, I’m a little surprised because it’s written by a veteran reporter. I guess he doesn’t actually know very much about the airline industry? And was the story in the can for two months? It talks about “high oil prices,” but that’s not remotely true these days. Kind of disgraceful for a business magazine to run an article that doesn’t reflect actual current business conditions. Honestly, for an airline, DL doesn’t face very many challenges these days. It’s a GREAT time to be running a USA airline! DL’s problem is probably more comparative: they’ve been able to financially outperform AA and UA, but I’m a bit skeptical that these trends will continue. We’ll have to see if the outperformance is due to skill, or luck. Like AA has modernized its fleet while DL will need to. That’s going to be expensive and, in general, AA seems to have its non-fuel costs more under control these days than DL. Indeed, that supports my long held opinion that AA and UA are run by better bean counters than DL. In other words, AA and UA are more skeptical about spending money on things that customers won’t pay for. That doesn’t ALWAYS work in the airline industry, but it usually works. We’ll see. All that said, if I had to be an S&P 500 CEO, I’d happily take Bastian’s job: it would be easier than most. 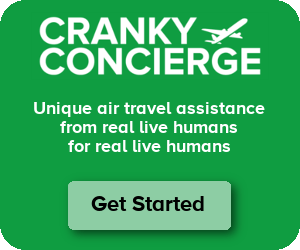 Hi Cranky, Yes, this does happen more often than it should to Southwest. You would think that operating an all 737 fleet would mean their maintenance planners were very familiar with the required maintenance for the type. However, and in their defense, it gets complicated when you bring in airplanes that have been operated by other airlines on different maintenance programs. In addition to different phasing of certain checks there may also be unique checks on specific aircraft due to damage, configurations operated by certain carriers or other things like a change to how the aircraft was constructed after a certain line number. There will also be differences between, for example, 700s, 700NGs, and 800s. But all of that said, with only one type, the planners should be on top of that. AFAIK, this is what inducting a used airplane into your fleet is about, gathering and documenting everything unique maintenance wise about the airplane and putting it into your airline’s maintenance system and schedule. If it doesn’t have work done that needs to be done you do it or schedule it. Also other airlines operate airplanes they purchased from other airlines. American has some Frontier A319s coming on board, and Delta is legendary for their MD80/MD90/717 fleets, many of which were purchased used. Also, an FYI, all 737-700s are NGs (NG=Next Generation) The 737-7 is the Max. I don’t fly BA very often at all, but I have done a BA 767 flight in the last 5 years (FCO-LHR), and that was one tired and ugly plane on the inside. But…….I can’t fault the ride you got in them – and I still love the UA 767’s, even if they, too, are shabby inside. Is this statement from the Fortune article accurate? 45 gates?!?! I find that amount of capacity mind boggling. Chris – That definitely can’t be right for Delta. Must include Korean. If Southwest didn’t voluntarily ground the airplanes for inspection, the FAA would’ve ground the airplanes and fined Southwest for not following the mandate. So technically the FAA didn’t ground them, but they would’ve if Southwest didn’t do it themselves. I actually like the MD-80 series planes, 737s are boring imho. Glad for that Delta article, I’d forgotten they came out against the NRA, I’ll make sure to boycott them for that. My values aren’t for sale either. It’s a shame though because MD-88s are my favorite. I’m with you on the love for the Mad Dogs, including the 717 (still a Mad Dog in my book, as it is an evolution of the MD series). I enjoy flying them and appreciate the fewer middle seats (6 across may be efficient, but 5 across is better when you’re flying basic economy and don’t get to choose your seat until the last minute). Also, many of the MD-8x/9x/717 planes seem a bit overpowered to me, which is great. Regular takeoffs on them are fine, but full power takeoffs from shorter runways are quite the blast. Yeah, that is what I like the POWAH!!!!!!!!!!!!! The fact that a delta MD-88 was the first airplane I flew in is probably related. Probably because I spent so much time on them 20 years ago, but I just love the MD80/90/717. Can someone else make a new plane like that? Or is it just not efficient? I’m gonna cry when Delta retires them. Kirsten – Well, from an interior perspective, that’s what the A220 is, 2-3 across and comfy. The engines are just in the wrong place. It seems to me that Southwest doesn’t do a good job at keeping it’s maintenance records. In the future it could come back to bite them if they have an accident. Thanks Paul. And what industry experience do you have? Hi Chris, I can’t speak for Paul, but I have over 30 years of aviation management experience at both airlines and aircraft manufacturers including Boeing. In particular I worked for an airline with a mixed 737 fleet, many of which were brought in from prior operators. I am quite familiar with the problems of integrating several maintenance programs and of individual aircraft that have unique maintenance requirements because of something that happened in it’s past history. Meeting all these requirements is not rocket science, but it does require very close tedious attention to record keeping. We came close a few times but never had to ground any aircraft because we missed a required check. So, based on that experience, I agree with Paul that Southwest is not doing a very good job with their maintenance planning. And this incident is not the first time either.